This 328 ft SMPTE Hybrid opticalCON DUO to FUW LEMO Singlemode Outdoor Fiber Cable from Camplex is a SMPTE 311M compliant broadcast interconnect cable suitable for outdoor and indoor use. It features a Neutrik OpticalCON DUO NO2SX connector and FUW LEMO connector. The OpticalCON connector is COCA factory terminated and interferometrically tested to GR-326-CORE endface standards. It has common LC contacts and a mechanical shutter system that shields against endface contamination. The cable is tested for < -55dB typical return and comes with diagnostics documentation. 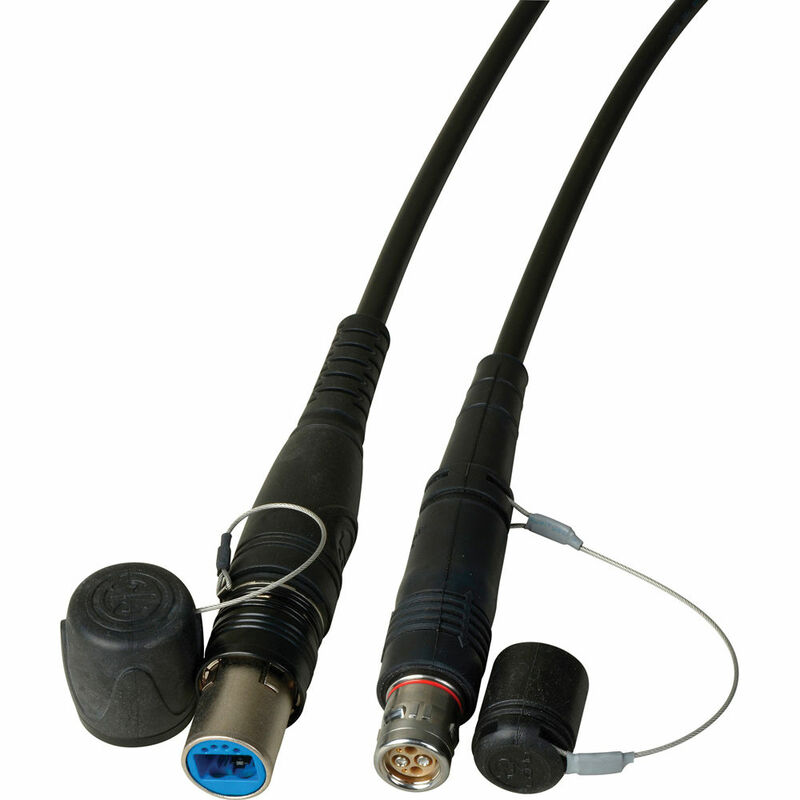 The opticalCON connectors are assembled using the Neutrik opticalCON ADVANCED system, which adds lockable, waterproof metal caps and rubber guards, especially critical for outdoor applications. This improves the cable protection and water resistance in long-term use.